Looking to create your own website in a similar niche? Contact us for a free estimate! Encuentro Católico is a special environment that connects you with the people who share your values. Now finding people with the same beliefs is easier! 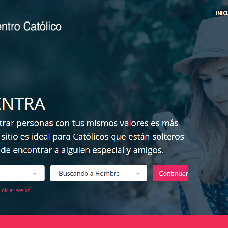 The site is ideal for Catholics who are single in search of friends and someone special.